Not long ago I got a tip from an internet friend that the writing software ‘Scrivener’ was on sale at Amazon.com. Since it was at a good price and for a change I had a bit of money I didn’t absolutely need for survival, I picked it up. And now I have to learn Scrivener. I have owned writing software before. Some of them turned out to be some would-be writing teacher’s method of teaching you how to write the One Correct Way. Even if such software had worked for me, I doubt I’d want to go through that process for each book I wrote. 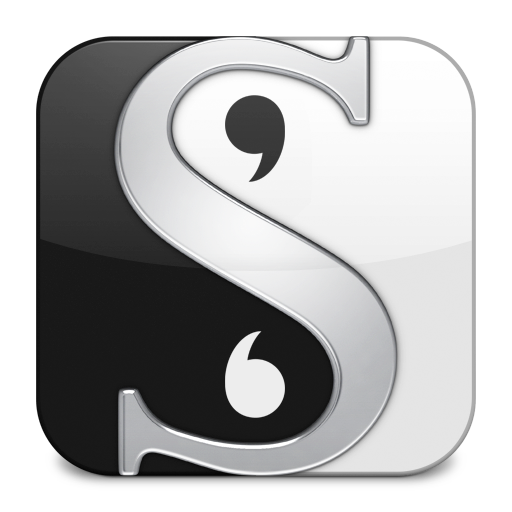 Scrivener, as I understand it, has a reputation of being useful to real, published writers, no matter what working methods they happen to be using. I have been watching YouTube videos that purport to explain how to use Scrivener, and I’ve read an ebook on the subject from Amazon.com. I’m beginning to pick up some ideas on how I can use Scrivener in a way that’s compatible with how my mind works. I’m doing an experimental short story using Scrivener. Well, I don’t know that it’s going to end up a short story. I’ve heard that once Stephen King sat down to write a short story and ended up writing one of his longer novels. I’ve done something similar. Attempting to write a haiku, what I ended up writing was a sijo (a Korean style of poem, longer than a haiku). Today’s writing work was mainly setting up some background. The story is set on a colonized planet, and the central group of characters are ‘rigeros’— ‘cowboys’ who herd large lizardish animals called ‘rigords’ (REE-gourds). Getting the rigords to market at the right time in order to bring back needed supplies to get their people through the coming winter is essential. But when the rigeros discover some women and children abandoned in the dust prairies, they must either leave these innocents to die, or not get their animals to market in time to get supplies to their people before winter. While the setting for this world is taken from a ‘Terran Empire’ setting I’ve used before, this particular planet and the cultures of the main characters in it are wholly new, and so much needs to be created from scratch. I’m hoping to keep this story to short-story length— but since I have to do a good bit of worldbuilding for this one story, I kind of suspect that ultimately a novel will result. But I’m hoping to keep THIS story at short-story length (under 7,500 words) or at least novelette/novella length. 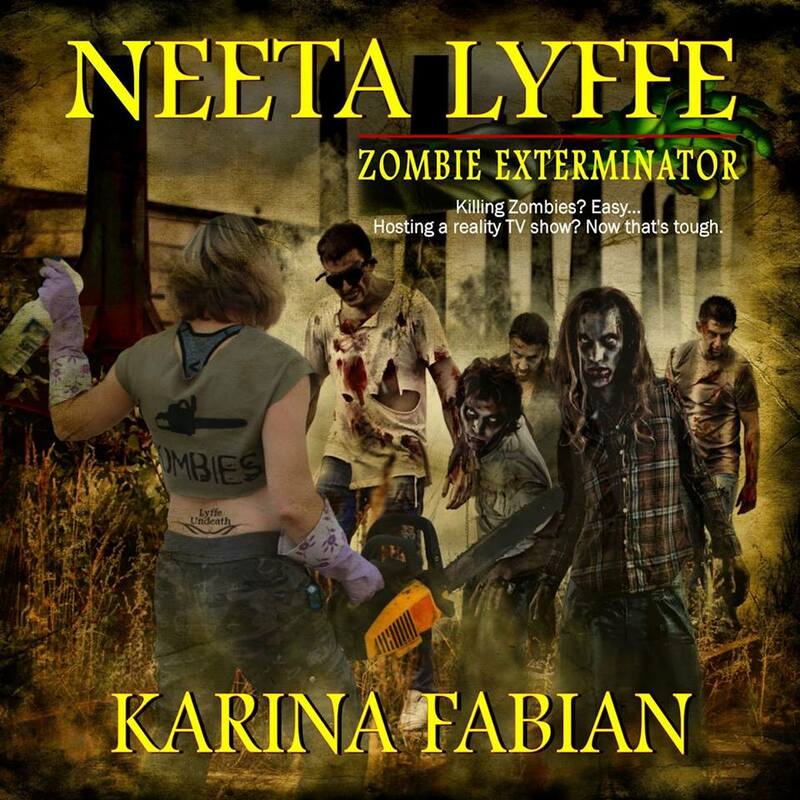 The full novel can result when I’ve written an additional short story–>novella featuring the same main character dealing with the problems created by solving the problem of the first story. 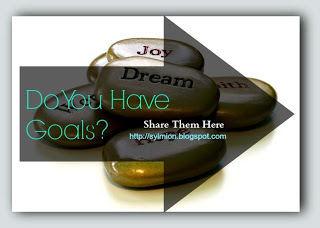 If there is any interest in this blog post, I might share some of the specifics on how I happen to be using it for my story creation process. I think I’ve got some ideas that even less-weird writers might be able to use. It was 1989, and I’d been writing poetry furiously for about a year, and I started to think about that oh-so-scary topic, publication. 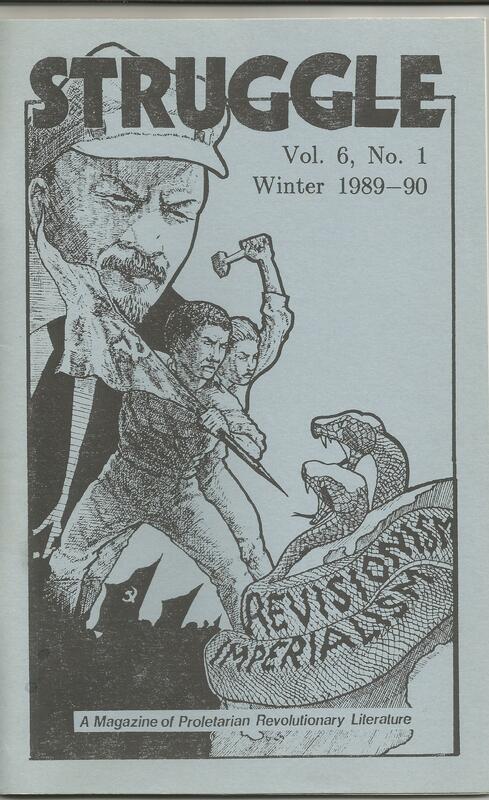 Since I was in my Youthful Marxist Phase at the time, the entry for ‘Struggle: A Magazine of Proletarian Revolutionary Literature’ really intrigued me. 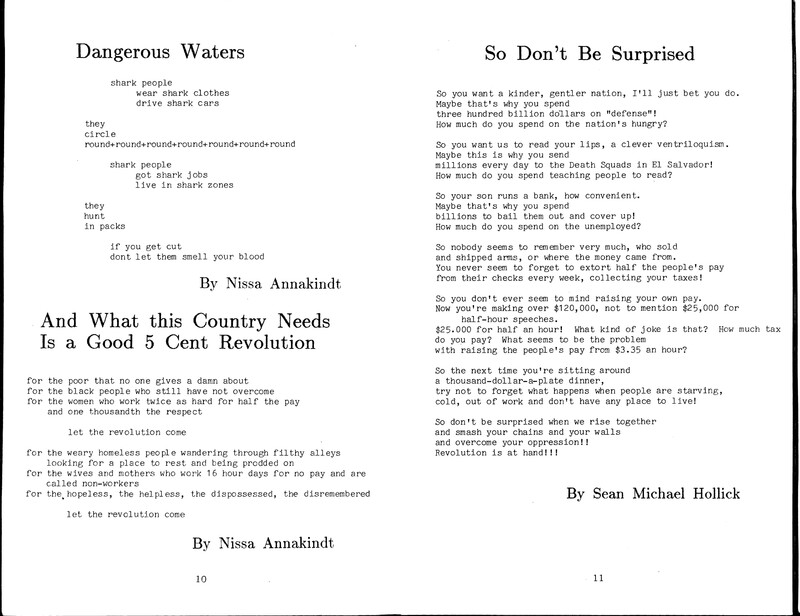 I picked out a batch of my angriest socialist poetic rantings and sent them off. I did not have high hopes. I’d send out a few other poems and been rejected. 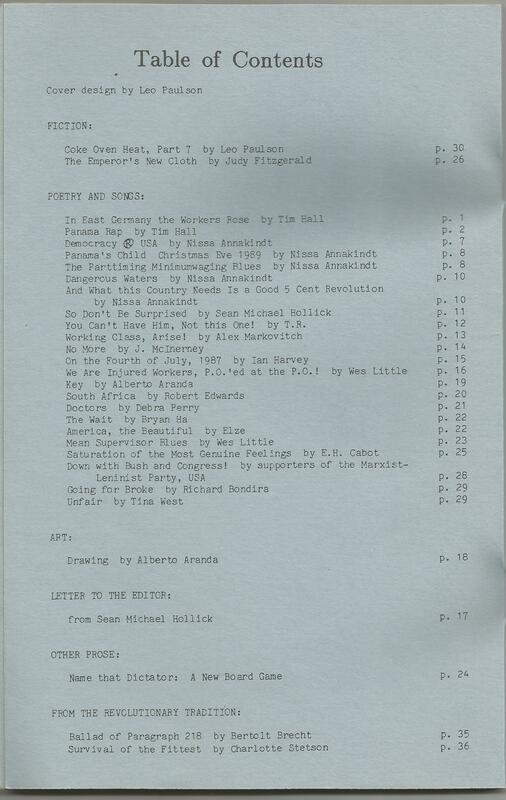 But this time I got word back that my poems— all I sent for that batch, I think— had been accepted and would be published in the Winter 1989-90 issue. When my two contributor’s copies came it was exciting to see my name in the Table of Contents, and the cool communist propaganda art on the cover. 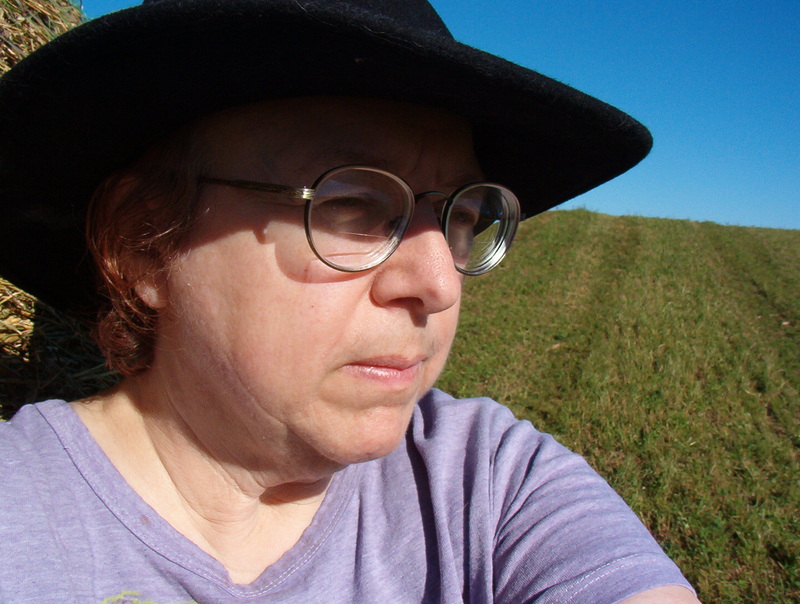 I enjoyed reading my five poems in the magazine just as if I hadn’t read them loads of times before. Most of these poems I know realize are not the best even from among the works I was producing at the time. But I worked hard on them and I worked hard on getting the poems out there to potential publishers, and it paid off. I honestly think that ANYONE who writes poetry who keeps on writing poetry, and reading poetry, and trying to improve the level of their work and is willing to send out poems regularly to appropriate markets, will in time get at least a poem or two published. You may not be the most talented poet in the world, but you have an excellent chance to get published SOMEWHERE. So don’t give up. You can do it! Aside: since there are so many would-be poets out there, I’ve been thinking of offering poetry critiques/reactions of short poems to interested aspiring poets. I would ask about $5 for a critique (or if you have some recent poetry magazines like Poetry or Scifaiquest or Chiron Review lying around I’d accept a copy in payment). I thought that way I could critique a few poems and get a little money for buying those all-important sample copies of poetry magazines. I’ve been getting my gardening-and-poultry house in order, late as it is, and that involves a lot of moving of poultry pens and the poultry that lives there. My current project is to move my 3 Ancona ducks (rare breed) from the large pen into a smaller pen. Only there’s one problem. 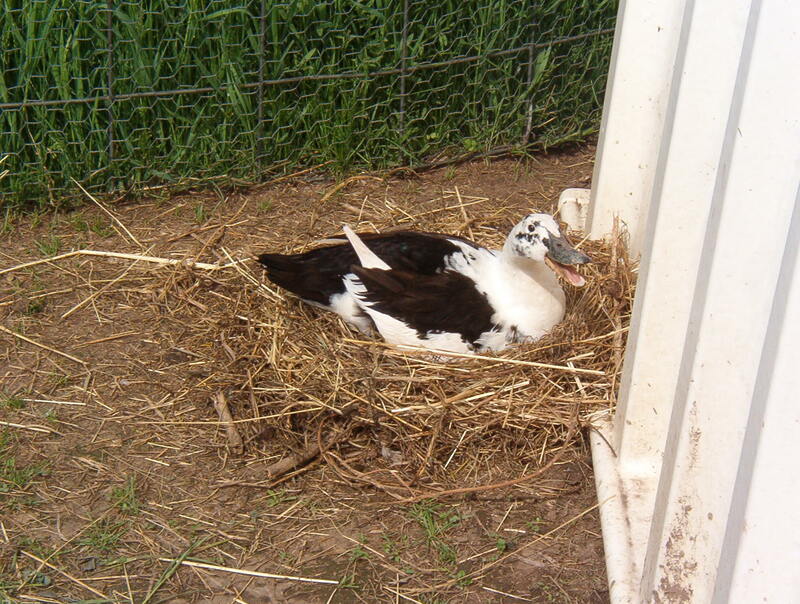 One of my ducks went broody, built a nest and is sitting on it rather fiercely. And my best duck book says that unlike chicken hens, broody ducks CANNOT be moved or they will quit brooding. And I want my ducks to hatch out some of their own eggs! I can’t keep the ducks in the bigger pen, because I need that to move my plowing poultry into now that they are done clearing some garden space for me. So— the drake (boy ‘duck’) and the non-broody duck will go into the new pen, and I will take my old, tiny pen and drop it over the duck and her nest, and hope that works out. The broody duck, by the way, doesn’t have a name yet. But if she brings off the hatch, I’ll give her a name and an extra leg band so I’ll know who she is. My named poultry currently is down to one, a turkey named Imelda. Other named poultry from my past included geese Albert and Victoria, tom turkey Corinthos, and my original chickens, Henry the rooster and his many wives named Catherine. So, I’m open to suggestions on duck names. Got any?